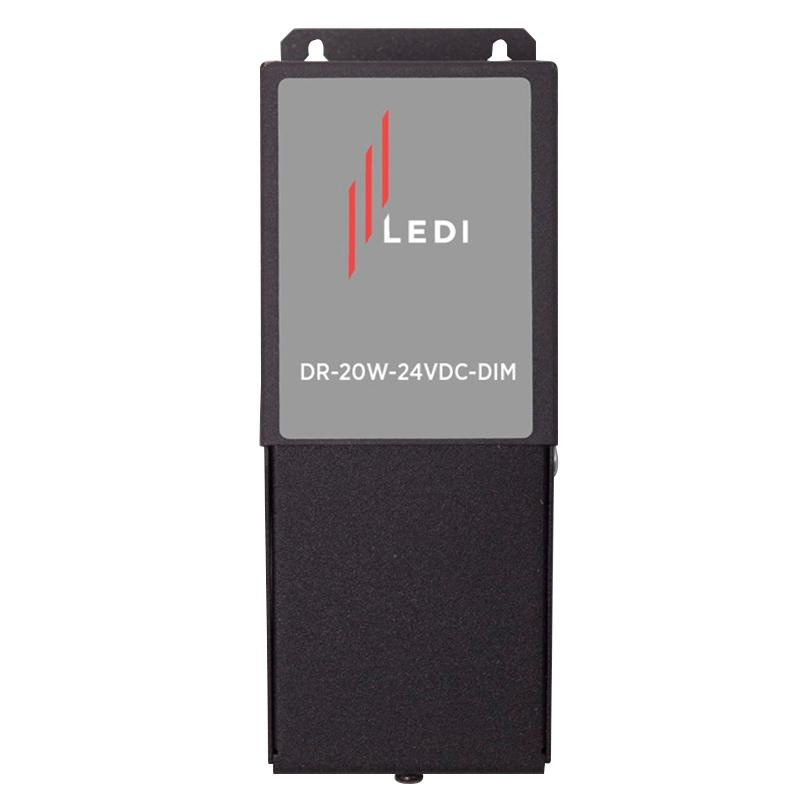 LEDI Magnetic dimmable LED driver has input voltage rating of 120-Volts and input current rating of 270-Milli-Amps. It measures 5-5/8-Inch x 2-Inch x 2-3/16-Inch. This magnetic LED driver features primary and secondary auto reset circuit breakers for complete protection. It comes with two knockouts for simple installation. It has output voltage rating of 21.89-Volt DC at full load and 23.2-Volt DC at open circuit. It has output current rating of 0.97-Amps and output power rating of 20-Watts. This LED driver ensures 76% of efficiency. NEMA type 3R enclosure facilitates hassle-free outdoor use. It withstands temperature up to 160 deg F. This Class 2 rated compact LED driver is compatible with most quality magnetic low-voltage dimmers. It is suitable for both indoor and outdoor applications. Dimmable LED driver is ETL listed and CSA certified.